Apple released the new iPad at the Apple event held in San Francisco today. All uPlay iPad accessories, including our uPlay Wireless Keyboard and Aluminum Case for iPad , uPlay Sleeve Case for iPad , and uPlay Screen Protector for iPad are compatible with the new iPad . According to Apple’s senior vice president of Worldwide Product Marketing, Phil Schiller, the screen on the new iPad has more pixels than a 1080p television. Packing in 264 pixels per inch, the pixels cannot be distinguished by human eye at a distance of 15 inches. The new iPad also has a much improved, 5 megapixel camera. The third-generation iPad also has voice dictation, allowing users to input text by speaking rather than typing. Still offers the same 10-hour battery life. The wireless models now 4G connectivity, allowing users to connect to long-term evolution networks from providers like AT&T and Verizon. The new iPad will offer download speeds of up to 73Mbps over LTE. International 4G LTE partners are Rogers, Bell and Telus. 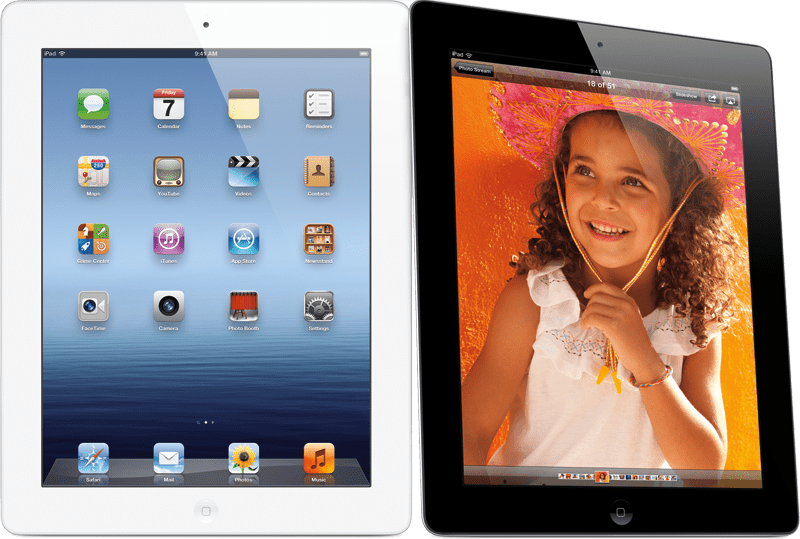 Another improvement highlighted by Apple Wednesday was battery life, as the new iPad will support 10 hours of battery life on Wi-Fi and 9 hours on 4G LTE. It’s slightly heavier than the iPad 2 , weighing 1.4 pounds. The body is 9.4mm thin. 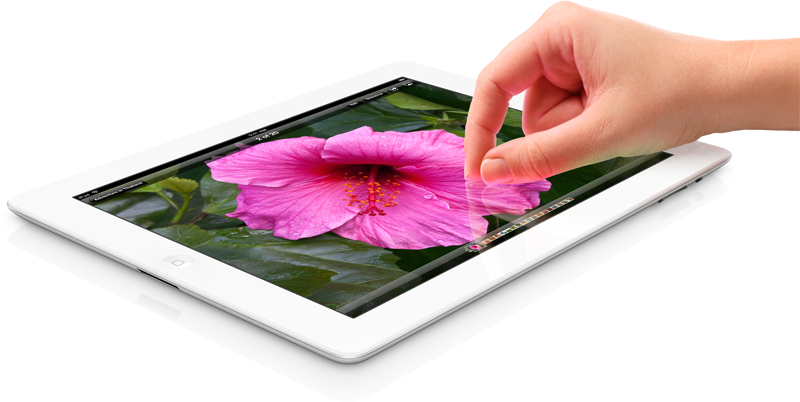 The new iPad features an A5X processor with quad-core graphics. Compared to the Nvidia Tegra 3, Apple says the A5X is twice as fast with four times the performance. The new iPad also has 44 percent better color saturation on its screen. An improved 5-megapixel camera is on the back of the device. It includes an infrared filter and ISP built in to the A5X chip. It also features auto-focus and auto-exposure, and uses the same optics system found in the iPhone 4S. The new camera can also record video in 1080p. There will be two different versions of the LTE-capable iPad models: one for AT&T and one for Verizon. Both will be able to roam worldwide in 3G. The iPad can also act as a personal hotspot, if supported by a carrier. It will also continue to be available in both black and white models. The iWork applications have also been updated to take advantage of the Retina Display . It will be a free update for those who already own Pages, Keynote or Numbers. iMovie for iOS has also been updated, adding storyboards and new editing capabilities. It’s still $4.99 and a free update for those who already own. To take advantage of the Retina Display , Apple has updated all of the built-in iPad applications. In addition, existing applications will be scaled up to the new resolution, and text will automatically be rendered in higher resolution. Highlighted at Wednesday’s keynote was a game from Namco: Sky Gamblers. The sky combat game was used to show off the iPad’s high-resolution display. Also demonstrated was Autodesk’s “Sketchbook Ink,” a new drawing application that focuses on line art. Using the graphics power of the new iPad, it will allow users to export images greater than 100 megapixels in size. Epic Games was also unhand to show off “Infinity Blade: Dungeons,” a new game that takes advantage of the graphical power of the latest iPad. It features HDR graphics and tone mapping. The new iPad will be available at the same price points and capacities: $499 for 16GB, $599 for 32GB and $699 for 64GB. 4G models will be an additional $130 for each capacity. You can now order uPlay iPad 3 accessories from our website. The iWork applications have also been updated to take advantage of the Retina Display. It will be a free update for those who already own Pages, Keynote or Numbers.